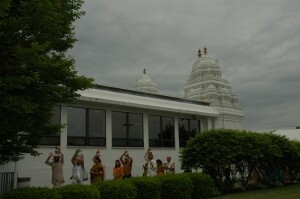 Hindu Temple Of Dayton Beavercreek , sometimes called the Dayton Temple Kumbhabhishekam, is a Hindu temple located in Beavercreek, Ohio. 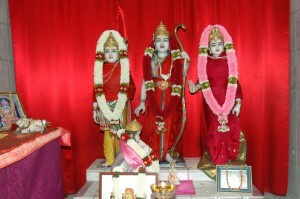 It serves the Hindu community of the Greater Dayton Area. Currently, there are shrines to the deities Venkateshwara, Rama along with Sita, Lakshmana and Hanuman, Ganesha, and Radha Krishna.The congregation was first organized in 1976. A. V. Rangarajan was instrumental in organizing the Indian community in Dayton. He was a founding member of the temple. A temple was consecrated in 1985 in Beavercreek. In 2009, ground was broken next to the temple in order to build a Puja Hall. The hall serves as a multipurpose area for celebrations, classes, and cultural activities. 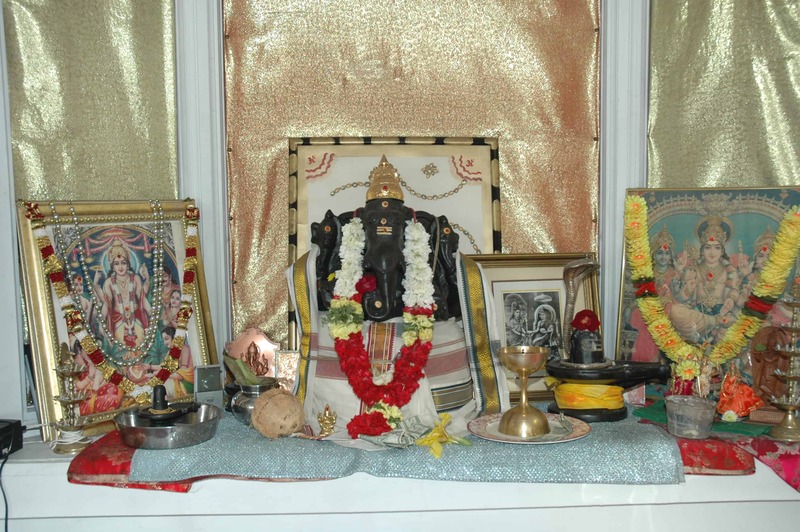 Starting in 2011, the temple underwent two years of major renovations.During these renovations, shrines to Bhagawan Chandramauli, Tripura Sundari, Bhudevi, Lakshmi and Navagraha were added. The end of construction was marked by a six day festival. The Dayton Hindu Temple is organized by Hindu Community Organization, Inc, a non-profit organized for the purpose of maintaining the temple. 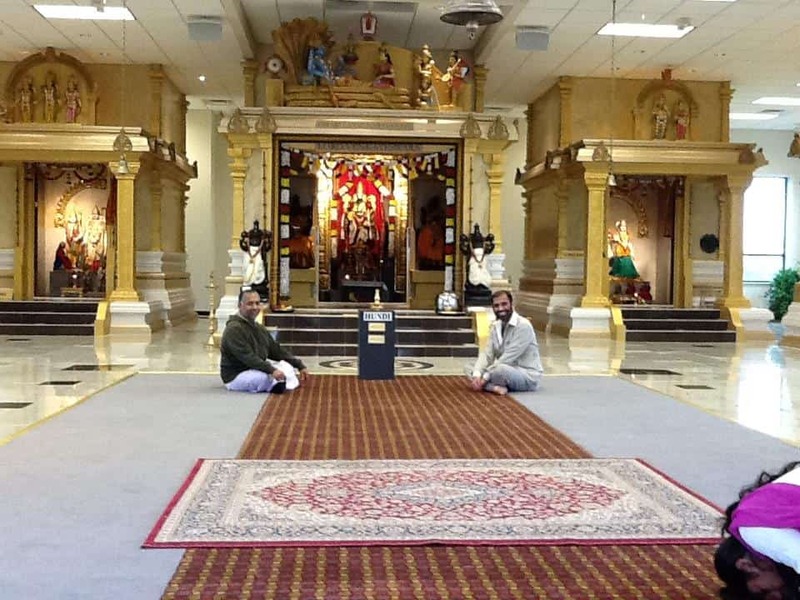 Like most religious organizations, the Dayton Hindu Temple has an executive committee, Board of Directors, and a Board of Trustees.The Hindu Temple of Dayton publishes a bi-monthly newsletter, Mandir Vani, in which the organization, services, news, and religious information is discussed. The temple raises money through donations, fundraisers, and services. Several hundred people visit the temple on a weekly basis. Two priests perform services based on Hindu principles. 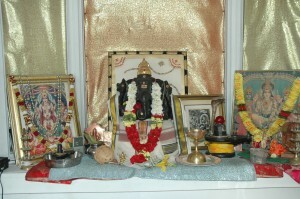 As with most Hindu temples, fees can be charged for special prayers and services. There are also scheduled events and services held throughout the week. Every Sunday, the god Venkateshwara is given a sacred bath, while Shiva is bathed on Mondays. In addition, the Dayton Hindu Temple serves as a community center. There are weekly table tennis games, anniversary celebrations, summer camps for children, lectures, and yoga classes.